Could this signal the beginning of the end for the never-ending, yet seemingly the same makeup trends infiltrating Instagram every day? 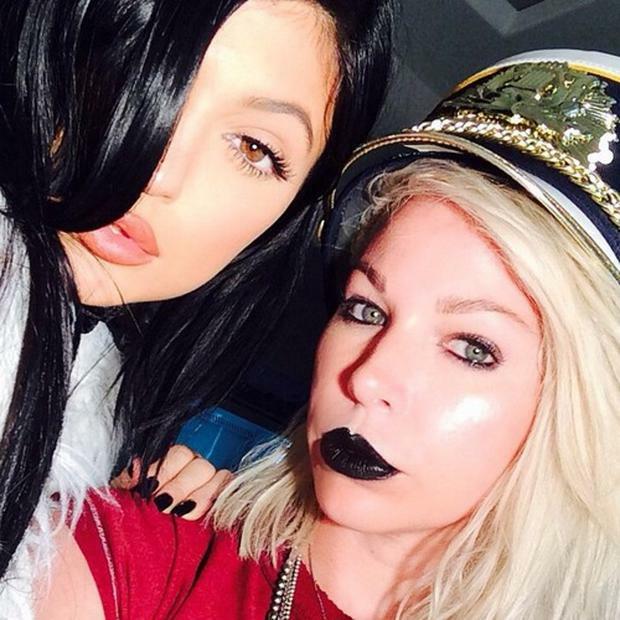 International makeup artist Joyce Bonelli, who is something of a beauty superstar thanks to her role as one of the key members of the Kardashian glam squad, has had her say on 'Instagram makeup' and she's over it. It's a signature look: over-contoured cheekbones, over-powdered skin and over-lined lips, but the woman who perfected Kylie Jenner's $400m pout thinks we should start paring it back with our beauty regimes. In an interview with The Cut, Bonelli said she's "bored" of the same old makeup tutorials. "Instagram is really amazing. I find a lot of amazing artists that I’ve never heard of before through it," she said. "As far as Instagrammers who just do a full face of makeup, I’m just bored with that. It is not something I’m personally obsessed with. It’s always the same thing and it’s a shi* ton of makeup. "I’ll see them and be like, What is going on? You need to chisel this makeup off their face. That’s just my opinion. I mean, is that really their vibe, every single day? "I don’t like an eyebrow that looks like it’s drawn on your head. It’s an epidemic. I’m all about what you really look like. People are so obsessed with the filters and Photoshop. But I’m doing makeup that’s being seen in all different elements. It just doesn’t translate." As the Kardashian family's go-to makeup artist, she said she doesn't take offense to those who would suggest she contributed to the impetus behind an OTT makeup look, but like anything, you should know when to move on. "Every artist evolves, and that’s how I used to do makeup. It’s a lot. As an artist, you get bored with things. One day, you could be into a major smoky eye and then be like, Let’s do bare eyes, a clear gloss, and a pop of color on the lip. I’m always switching it up," she said. "There needs to be dimension. You can’t have it be too precise, or it looks like there’s too much going on...I do see the Instagrammers who are doing a full face with magenta, turquoise, and fuchsia eye shadow. Who does that? I’ve never seen anyone anywhere with that on their face. I’ve never gone to the grocery store and seen those colours on someone else." Are we just wearing bras as tops now?